As the weather heats up, we here at Speck love to get outside and enjoy the sun. We’ve designed our cases to keep up with our outdoor adventures, from a picnic in the park to a sunny day at the beach. When you slather on the sunscreen to protect your skin from the sun this summer, you won’t have to worry about protecting your Speck case. Our Presidio CLEAR, Presidio CLEAR + GLITTER, Presidio CLEAR + PRINT, CandyShell Clear, and CandyShell Clear with Glitter cases all have special clear materials that resist turning yellow from the sun’s UV rays. No matter if you’re grabbing your case after rubbing in your sunscreen or if you spill a little mayonnaise on it at your next BBQ, our cases won’t take a hit. Our durable cases are tested to withstand hand cream, skin lotions, oils, sunscreens, mayonnaise, and other everyday chemicals. Hot weather and sweaty hands are a recipe for dropping disasters. Luckily, our Presidio GRIP and CandyShell Grip cases have raised rubber ridges on the back that create a no-slip grip so your phone is much less likely to get away from you. 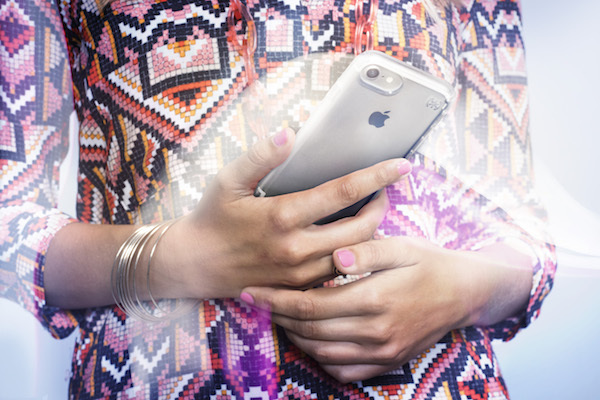 Our Presidio CLEAR + GLITTER and CandyShell Glitter cases look dazzling in any light, but they really shine in the sun. Take them out on your next picnic and get ready to shimmer. No need to carry both your wallet and phone when you hit the beach or boardwalk. Take everything you need with Presidio WALLET. This case protects your phone from drops and scratches, and has a built-in card slot that holds up to 3 cards or cash. Whether you’re into bright colors or summery prints, our Presidio cases have you covered. Presidio CLEAR Neon gives your phone a highlighter-neon look, while our Watermelon Patch Presidio INKED case looks good enough to eat.